From 1st April 2017. Closes 24th April 2017. Kay Inverarity is a Master Costumer in The Australian Costumers Guild. She holds a degree in history from The Flinders University of South Australia and she has been interested in historic costume and its sociology from her early childhood. Kay began learning about dress construction from the age of eleven, by dressing dolls in historical costume. As she grew older this interest translated into full sized outfits. Her goals have always been to achieve high quality garments that not only look right, but are constructed in the same way as the originals. These garments differ from stage costume in that they are made to be seen at close range. This means that they can be as highly detailed as the originals. In order to achieve this accuracy Kay has done an enormous amount of research on original garment collections in England as well as Australia. She personally owns a large collection of antique garments and fashion journals. This exhibition shows just a small number of garments that Kay has made over the years. 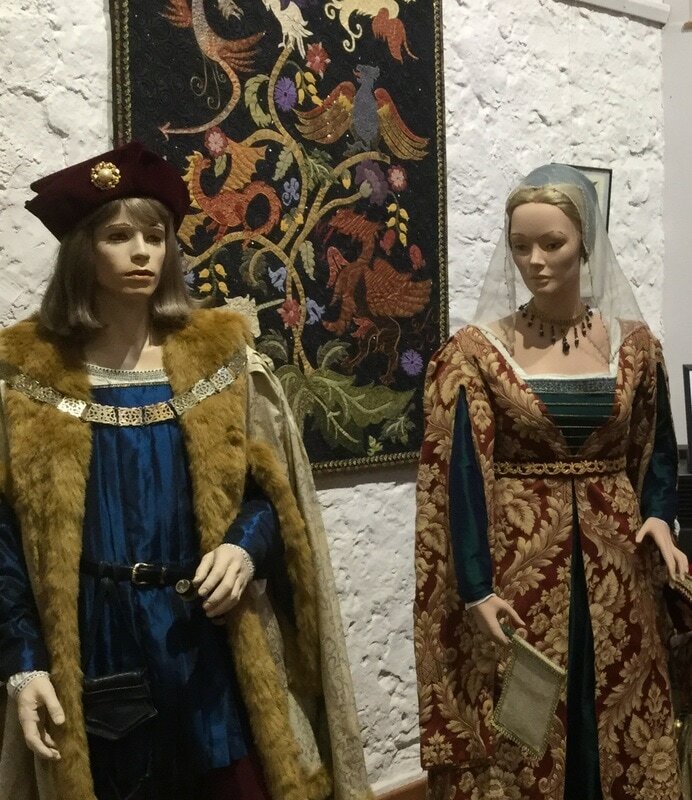 They portray a range of fashionable styles from the late 1300s through to 1912. Each historical garment is crafted to give the entire effect so head-wear, corsets, underwear and accessories such as shoes, bags and fans are often made by Kay to complete the fashionable look. Kay's love of beautiful fabrics means that she frequently makes garments that would have been worn by the upper classes. Most are made of pure silk and fine linen. Each ensemble is crafted in such a way that it is hoped that it would blend with other garments of the same date and status if the wearer were magically transported back in time. Michele has been a proud member of the Quilters’ Guild of South Australia for over 20 years. She has had the honour and thrill of winning awards at our shows, including Best of Show four times. In 2014 she received the highest accolade an Australian quilter can receive – The Rajah Award in recognition of services to Australia through quilting. Linhay Gallery is delighted to show a small number of Michele's quilts that are inspired by William Morris designs, in conjunction with this exhibition. They help to create the perfect setting for the period of the costumes, transforming the gallery to the style of an English manor house in Centuries past. 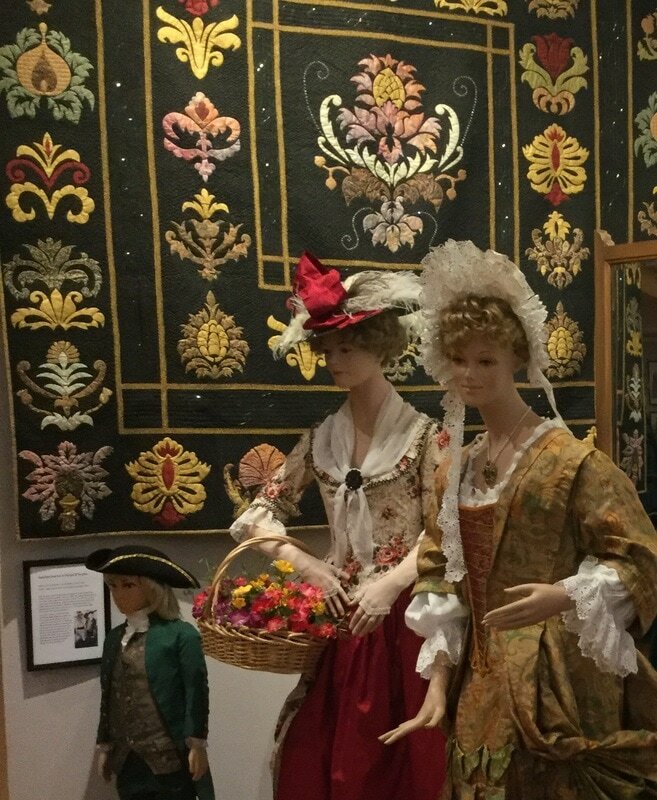 17th & 18th Century, costumes made by Kay Inverarity. Quilt My Renaissance by Michele Hill.